Print or email invoices and get paid faster. 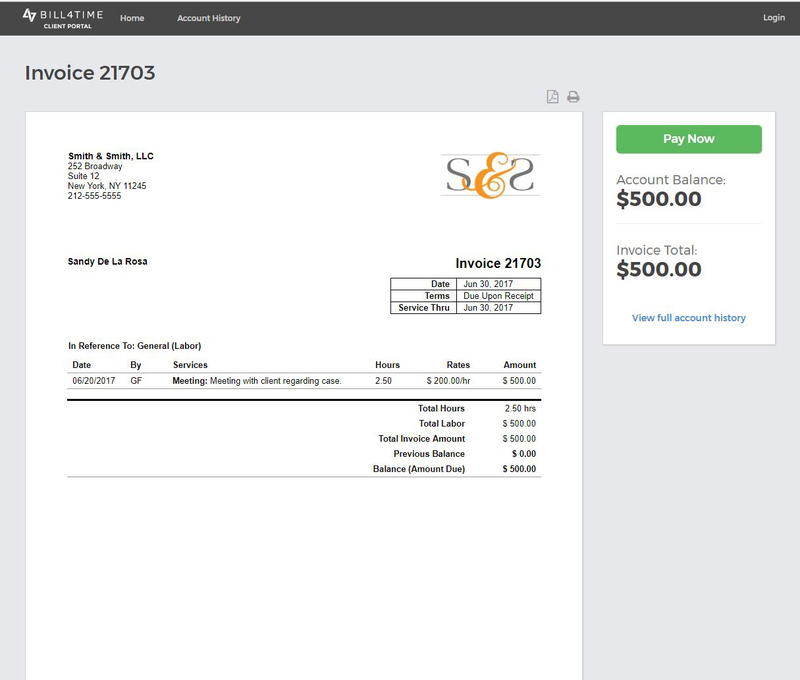 Create professional, branded invoices in minutes. Send pre-bills, detailed invoices and statements with a click. Offer flat rate or percentage discounts. Set payment terms, currency and late fees. Seamlessly link invoices with convenient online payment options and get paid even faster. Quickly create branded invoices. Add your your logo and company details, payment terms, late fees, currency and more. 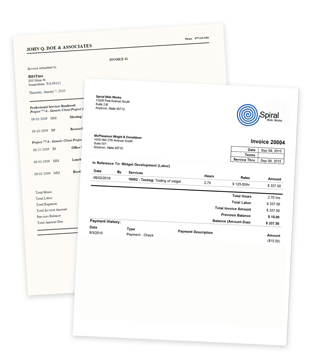 Invoices are available any time via a secure client portal. Clients can easily make online payments via credit card or PayPal, anytime on any device. Include unlimited billing rates, mix hourly and fat rates for every user. Easily override default rates. Clients pay faster when they understand the invoice. Quickly provide the details needed for clients to pay you.